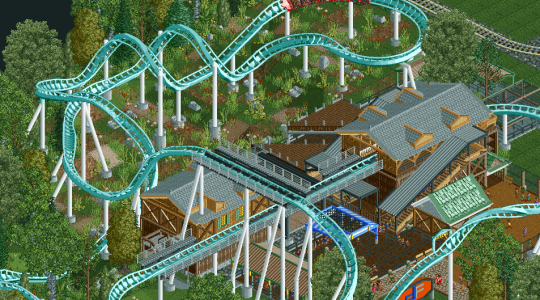 Congratulations to Scoop's The Real Drachen Fire, the latest winner of RCTgo's Build It Competiton! The Real Drachen Fire beat the other three entries with 11 votes and 79% of the vote. Download The Real Drachen Fire now! There once was a coaster called Drachen Fire at Busch Gardens Williamsburg. It was an arrow looper that gave a very unconventional ride experience. Originally however the ride was supposed to be made by B&M and would've been a similar coaster to Kumba down at it's sister park in Tampa. Congrats, in the future be sure to include more screenshots so that voters can see the entire entry. No one has access to the download itself until after the round finishes.